Hi loves! You’ve asked for this guide and it’s finally here! 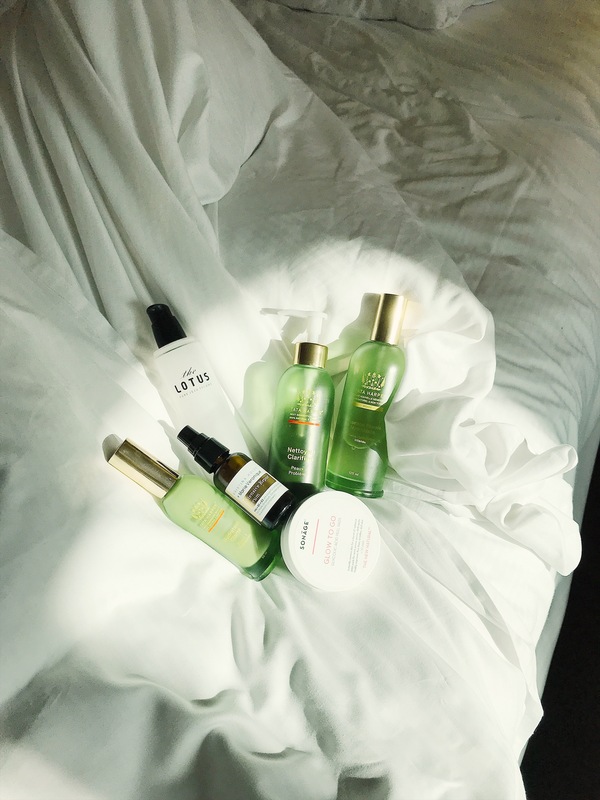 I am so excited to provide you with this heavily researched and thoroughly tested list of products that helped me heal my most recent acne spell and prevent new breakouts. Acne is one of the most complex skin issues, it’s dependent on genetics, environment, hormones, diet, practices, and countless other factors. I’ve struggled with boughts of acne since adolescence and I can truly commiserate with every single person who’s self confidence has suffered due to breakouts. Acne is individual and I honestly believe that what worked for me may not work for everyone but I have spent countless hours researching ingredients and self testing non toxic products to put together the most effective guide possible for you. 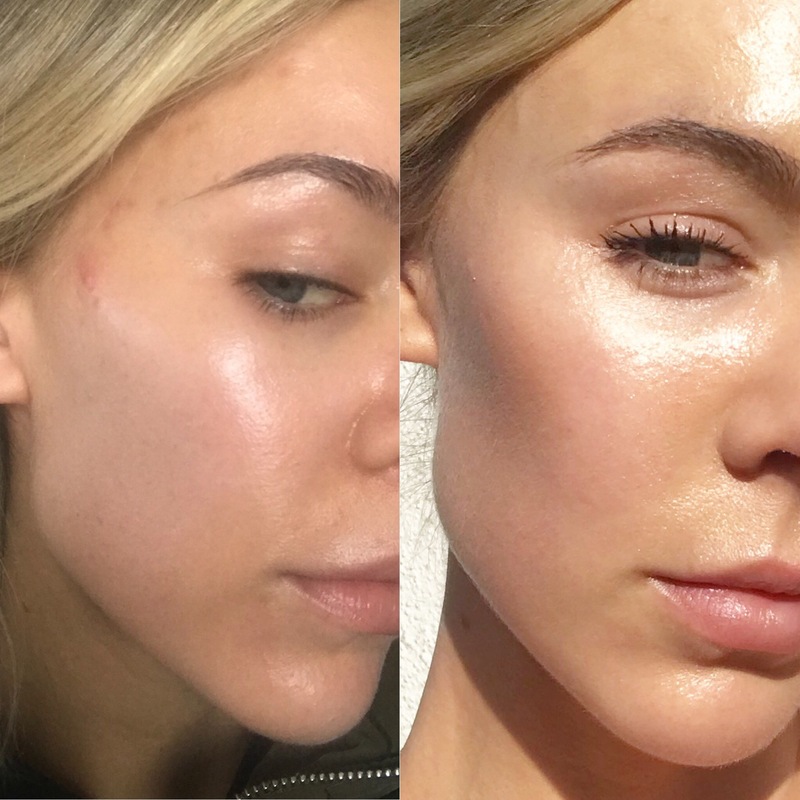 I can confidently say that this guide offers phenomenal skin clearing results, it worked for me, my personal before and after photos prove it. If you are suffering from acne or get occasional breakouts I hope you give this guide a try! Having a consistent anti-acne skincare routine is essential to keeping breakouts at bay and promoting healthy skin. Chemical exfoliation and non-comedogemic AKA non-pore clogging hydration are the two most important components of this acne skincare guide. I tested over 20 products to develop my list of six products that work in conjunction to slough dead skin cells and deeply hydrate the skin. I tested these six anti-acne heroes for over a month to ensure their ability to promote clear acne free skin! Whitout further adue here is the Acne Skincare Guide. Tata Harper Clarifying Cleanser: This foaming gel cleanser is fantastic, it targets blemish-causing impurities with wintergreen and lactic acid. It gave me a deep-clean feel without drying out my skin. 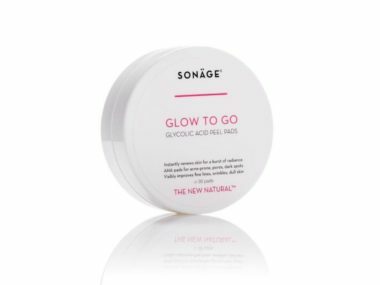 Sonage Glow to Go Glycolic acid peel pads: These Glycolic Acid pads are an essential acne clearing treatment. The chemical exfoliant ingredients in these pads remove dead skin cells and improve skin texture while simultaneously soothing with lavender. Tata Harper Hydrating Floral Essence: This lightweight moisturizing mist smells like floral heaven and weightlessly hydrates with Hyaluronic acid. 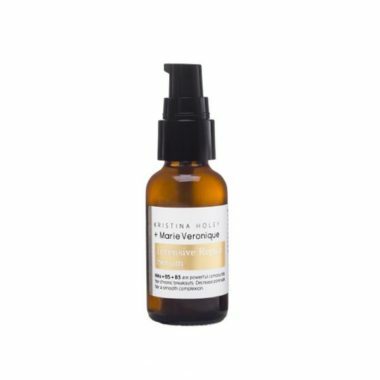 It gave my skin an all-day hydrated feel and plump appearance. The Lotus Essence with Lotus Leaf: Essence is my new Korean beauty obsession, it’s a light moisturizing layer that you pat into the skin. This product has natural antibiotics and flavinoids from the lotus extract, naturally preventing breakouts. This product helped heal my skin and provided a super glowy skin look. Marie Veronique Intensive Repair Serum: This powerful serum works to balance oil production and clear skin gently. It tingles in the best way, healing breakouts with green tea and salicylic acid. Tata Harper Clarifying Moisturizer: This is the perfect moisturizer for acne prone skin, it gently hydrates with soothing aloe. It left my skin feeling protected but not clogged. 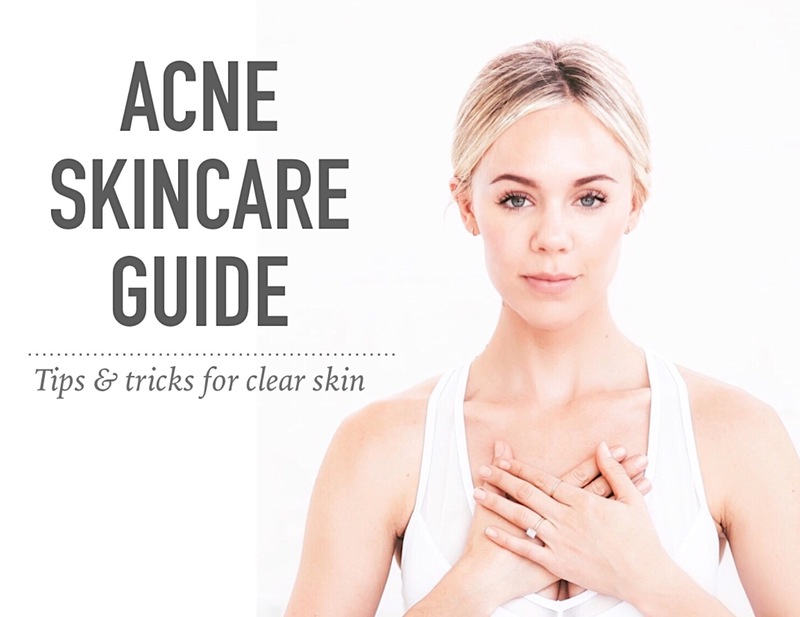 In addition to this product guide I created an Acne Skincare Guide Ebook full of home practices, tips, and clear skin tricks that will supplement any skincare guide! This resource costs about as much as a latte and will provide you with information to keep your skin healthy and vibrant. Feel free to reach out to me with any questions, I’m here for you loves as always! "Perfect skin secrets from Jamie, top Los Angeles estitician with glowing skin"
"Is professional Teeth Whitening painful? No it’s amazing!"